Is Your Railroad Cancer Claim Ruined If You Smoked? 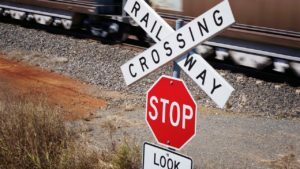 Rick Shapiro, a Virginia and North Carolina railroad accident and disease lawyer, talks about the effect of a past smoking habit on your railroad cancer claim. Rick explains that, just because you smoked in the past, does not ruin your claim against the railroad for exposing you to toxic fumes and asbestos fibers. Randy Appleton, a Virginia and North Carolina railroad accident lawyer, has over 30 years of experience representing injured railroad workers including trainmen, switchmen, engineers, conductors, and so forth. Randy explains what you need to do after a serious accident while working for a big railroad like Norfolk Southern, CSX, Burlington Northern, etc.